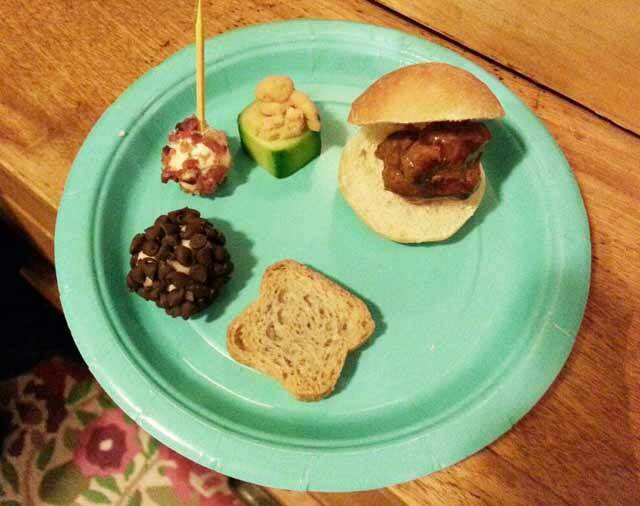 This New Year’s Eve, I hosted a mini-food party. It was loosely inspired by Tiny Food Party! : Bite-Size Recipes for Miniature Meals – although I don’t think I actually used any recipes from the cookbook! I had a ton of fun coming up with menu items, and I think my guests had fun noshing on these tiny apps. Who would have thought tiny food could be so much fun? would be the perfect addition to the miniature-themed menu. So do they taste like real Tootsie Rolls? Sort of, but not exactly. They’re softer than Tootsie Rolls, but still chewy. And they’re more chocolaty. One person said they tasted like a cross between a Tootsie Roll and a brownie. First time visiting Cheap Recipe Blog? Welcome! I’m so glad you’re here. Don’t forget to follow my Pinterest boards so we can stay in touch. These homemade Tootsie Rolls were very easy to make! No candy thermometer required. I found dry milk powder at Whole Foods. Be sure to get dry milk powder and NOT instant milk powder. In a large mixing bowl, sift cocoa powder, powdered sugar, dry milk, and salt together. Set aside. In a small mixing bowl, whisk together syrup, melted butter, and vanilla until combined. Pour liquid mixture into dry mixture. Stir until dough starts to come together. Continue by kneading the dough so everything is uniform. To assemble Tootsie Rolls, divide dough into four equal parts. Roll one section into a long, thin rope. Cut into individual Toosie Rolls (mine were less than one inch long). Once you're done cutting the remaining Tootsie Rolls, place them in the fridge to cool for about an hour. Remove and wrap in individual wrappers (I used parchment paper cut into 3 1/2-inch square pieces). That sounds like such a fun party! Love your blog. I too feel that eating well doesn’t have to cost you a lot of time or money. You have some great ideas.